I’ve been trying to limit myself to downloading one Dylan concert per day. Most days (but not today) I fail utterly to stay within those confines. If you know where to turn, you can find recordings of hundreds (thousands?) of his shows, and while the recording and performance qualities vary, I’ve been amazed at just how often he totally reconfigures his classic material. Earlier in the week, I was listening to a few wildly different versions of “Tangled Up In Blue.” They were all performed within just a few years of each other, but so different were the arrangements that it hardly sounded like the same performer. Among recording artists, Dylan stands virtually alone in his willingness to re-interpret his material. Although I’m also a big Beatles fan, I can think of only one instance where Paul McCartney radically re-imagined one of his chestnuts for live performance. For years, I envied visual artists. They have the license to visit and revisit the same rough material again and again. 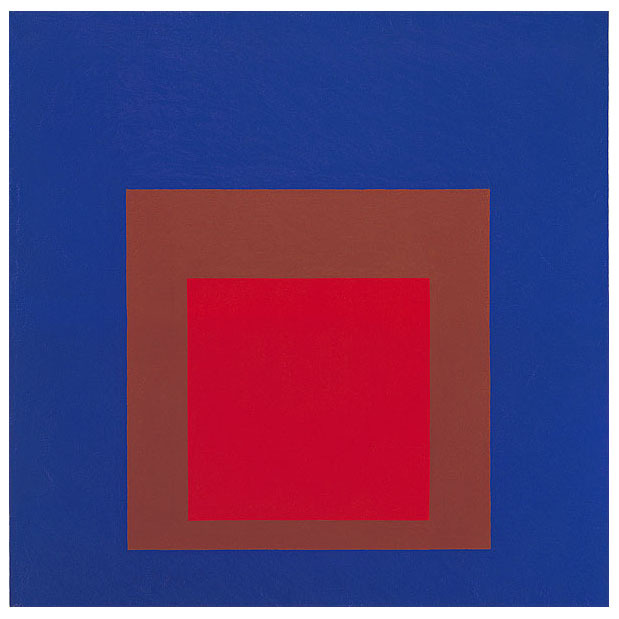 Think, for example, of Josef Albers (here, and here, and here) or Piet Mondrian (here, and here, and here), or the early American paintings of Edward Hicks (here, and here, and here). Even Leonardo da Vinci had at least a couple of goes at his “Virgin of the Rocks” material. By circling and counter-circling around the same material—reconfiguring it slightly but essentially staying within the same structural limits—these artists are forced to search for different aspects and qualities to emphasize. Subtle differences become hugely important. If anything, they learn to better understand the conflicts and conundrums that their material poses. Viewing such works together can also be fulfilling. I used to spend a lot of time in the Rothko Room at DC’s Phillips Collection, staring at what some might say were different versions of the same painting. Each time I’d go, I’d find myself absorbing different qualities of the paintings—one day, their mistiness; on another day, it would be the solidity of their color. Look at those Albers paintings again. The structure is the same. The style and application of color is the same. But, if you’re like me, you leave those paintings with wildly different impressions. I keep wondering if such a thing might be possible within a short story collection. What would it be like to read, say, eight variations of the same scenario? What would it be like to write those eight variations? To be clear, I’m not talking about assembling a linked story collection where one story builds upon a previous story, and so forth. Instead, each story would start at the same place, and end at approximately the same place. The characters and settings would be the same, but whereas one story might emphasize, say, the father character, another story might emphasize the mistress. Or the child. The outcomes might be different, which would necessarily impart different meanings, but none of the stories would reach outside set parameters to obtain that outcome. Or would this work better as an anthology? Would writers of fairly well-known stories be willing to go back to them and create a second story? Like a Dylan show, the results might be spotty—the high-wire aspect would be part of the challenge. One often hears writers say that, after they’ve built their structure and prepared a cast of characters that act in certain fashions, the results of their stories are inevitable. I’m not sure this is necessarily true. Just as in life, when minute changes are introduced, wildly different outcomes can result. The fun would be discovering what those minute changes might be— and discovering what will necessarily remain unchanged. Or is this just a bit too Oulipo to rev up most people?